Lambert Kit [KTAFLambert] - $63.00 : Edinburgh Imports, Inc., Your source for teddy bear making supplies & 100% Schulte® German Mohair. 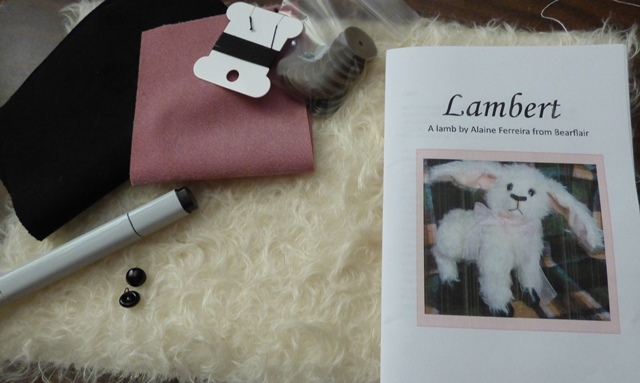 Details: This is a mohair kit for making Lambert the Lamb by Alaine Ferreira. This will be a 9" Lamb. The kit includes curly matted white mohair, black ultra suede, pink mini fabric, eyes, pearl cotton, joint set, copic marker and pattern.